A proposal is one of the most important events in many people’s lives, so a lot of thought has to go into the timing and planning. Usually when you propose your loved one already realizes you’ll be proposing soon, and you’ll have talked to them before to get an idea of the type of proposal they expect. This means expectations will be high and getting creative may be important. If your beloved doesn’t enjoy surprises it can be beneficial to simply keep it simple. Some people do hate surprises or like to avoid being the center of attention. This means that a marriage proposal that makes them the center of attention might actually just make them feel uncomfortable. A simple proposal after a romantic meal at home can be a great way to propose to someone who doesn’t like a lot of flair. Getting family in on the act can be a great way to show your loved one that not only do you want to marry them, but you also want to be a part of their family. Many families will welcome the chance to get involved in such a special occasion, and this also means that you can get approval from your beloved’s mother and father first. Some inventive proposals have involved dancing or plays including the family. Going back to your very first date or the very first day you spent together can be a great way to not only remind your loved one how important your time together has been but also a convenient way to relive one of the best days of your life. If you can do this on an anniversary or other event, the proposal may still surprise your loved one as well as giving your anniversary extra meaning. Proposing over video can be a great way to catch your loved one off guard, especially if you enjoy surprising them. If you or a friend are technologically gifted you can find a way to cut the video into a movie or television show that you two want to watch together. Your loved one will be surprised when this video is replaced with a picture of you and a new and beautiful ring. Vacations are great proposal opportunities because most people feel very relaxed when on vacation. When on vacation, people feel far away from all their problems and are prepared to enjoy new things and make great memories. A romantic getaway is a wonderful time to reflect on how wonderful your relationship has been and think about your future together. 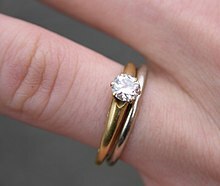 If your beloved is already expecting a proposal, it can be a good idea to draw it out into something lengthy. You can leave a small gift for her on her pillow at the beginning of every day of the week and finish off with the ring, or send her flowers at work every day and end with a ring tied to one of the flowers. Drawing out the proposal will make it a larger event and keep it in her memory forever. If you and your loved one have a treasured family pet you can consider using them for the proposal. You can tie the ring securely to a collar of a cat, or train a dog to do a special trick such as picking up the ring and carrying it over to her feet. Most dogs can learn tricks quite fast and this will be extremely memorable. Presenting your loved one with a beautiful ring is the perfect way to cap off what is one of the most important occasions in your lives – check out the latest Michael Hill catalogue to find a stunning ring for your partner.